The Tour Edge Exotics CB5 fairway wood features a hyper-steel body with a SP700 beta titanium cup face design that improves variable face thickness for explosive distance from a wider area on the face. It also features a smaller tour preferred, pear shape head with a deeper and higher center of gravity producing an optimal launch with low spin characteristics. 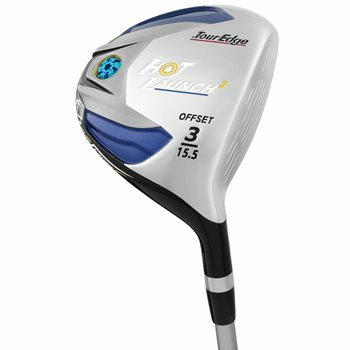 This fairway wood is great for the player who likes to work the ball but it also features a swept wing sole that allows for the weight to be moved to the heel and the toe of the club head for maximum forgiveness. This club is backed by a Lifetime Warranty from Tour Edge.